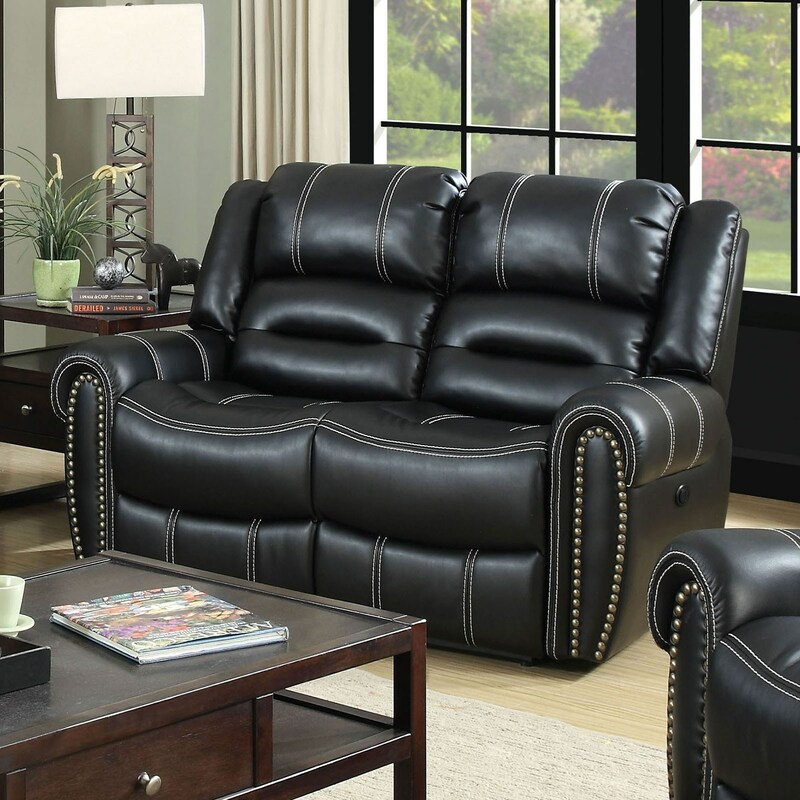 This exquisite breathable leatherette sofa set makes an eye-catching centerpiece for any living room. Boasting plush upholstery in black with contrasting white stitching, this collection has both classic designs and modern aesthetics to perfectly complement any room. The Frederick Power-Assist Loveseat with Nailhead Trim by Furniture of America at Furniture Superstore - NM in the Albuquerque, Los Ranchos De Albuquerque, Rio Rancho, Santa Fe, Corrales, NM area. Product availability may vary. Contact us for the most current availability on this product. Browse other items in the Frederick collection from Furniture Superstore - NM in the Albuquerque, Los Ranchos De Albuquerque, Rio Rancho, Santa Fe, Corrales, NM area.